But what does Romy really know about J? And what do the mysterious messages which have started arriving from Earth really mean? Sometimes, there’s something worse than being alone . . . 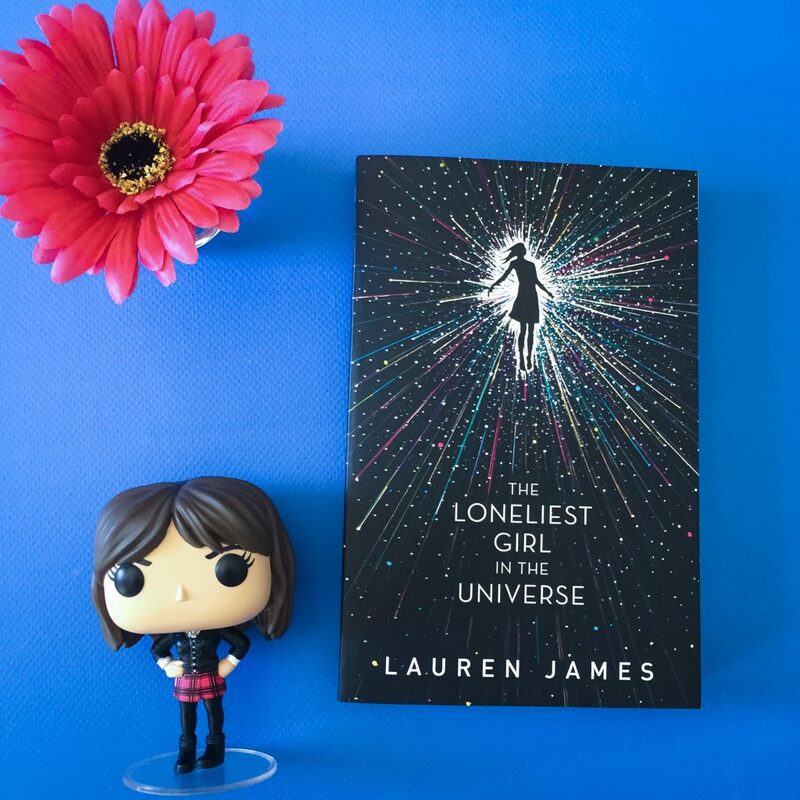 The Loneliest Girl in the Universe is an intergalactic YA novel about a young girl who is the sole operator on a spaceship headed for a new planet. Romy was born on the spaceship after it had already left Earth headed for this new planet – she’s never set foot on land. Romy’s parents were a part of a mission to fly on this spaceship for fifty years, land on a new planet, and discover whether it was habitable. There were other astronauts aboard the ship as well, but they were in a stasis sleep and after a few years Romy’s parents were supposed to awaken the next set of astronauts to watch the ship and then Romy’s parents would enter the stasis and wake up decades later on the new planet. However, Romy’s mother fell pregnant unexpectedly and so they decided to stay awake on the spaceship to raise Romy. And then disaster struck all of the other astronauts asleep on the ship. We meet Romy when she’s a teenager. Her parents died on the ship when she was 11, though we don’t know what from, and Romy is very lonely. Despite the fact that she gets to spend her days binge watching TV shows and writing fanfiction, she’s not really happy. She has about twenty years left of the journey and she’s all alone. She has good days and bad days, and for someone who has been alone for years and will be alone for the next couple of decades, she’s doing surprisingly well (mentally). She’s a little immature at times, but she’s also incredibly smart and resourceful and can handle pretty much anything. And when the new spaceship is launched and she finally has interaction with someone else like her — the boy named J — she suddenly feels like she’s filled a missing piece in her life. She finally has someone to talk to. Through emails and calls, the two connect and bond with each other. Even after completing the novel, and even after stopping and rereading certain sections, I still couldn’t quite understand how Romy and J were having so many email exchanges when the messages took months to get to each other and they was only a year in the timeline. At times, it seems like they were sending emails to each other even though they hadn’t received the latest email from that person? But the conversation flowed on? I found it all rather confusing. After a while I just shrugged and accepted that it was beyond my comprehension and I ignored the email dates for the rest of the book. Above all else, Romy is a girl who is still grieving the loss of her parents. When we finally find out what happened to them (no spoilers!) we can understand why she has nightmares and why she avoids certain places on the ship. There are still painful memories about The Infinity and she’s dealing with them all on her own. Lauren James has done a great job of capturing Romy’s grief and emotions, and illustrating them in a realistic and relatable way. The three-dimensional characterisation of Romy was the strongest asset to the book. She really grows over the course of the novel from quite a timid girl who lacks confidence to a strong, independent woman who can trust her gut instinct. She becomes a total badass at the end! The twist in the book was wonderful, and one that I didn’t foresee. I anticipated that a twist was coming, but what I thought was going to happen was incorrect. I did feel like the pacing of the book wasn’t quite right, and was a hindrance to the reader. Most of the book is incredibly slow-paced and we’re just reading the email exchanges between Romy and J. The story is building towards Romy and J meeting but it’s all quite flirty and fun and romantic (not really what I expected from the novel). And then in the final few chapters, the two characters meet and there’s a big twist and there’s a confrontation and then it’s the end. I would’ve liked that ending to be expanded and perhaps extended beyond where the novel finishes. It would’ve helped deliver a more satisfactory ending for the reader. I recommend this to readers of young adult fiction, particularly those who love fantasy or science fiction. There’s a fair bit of romance in there and teenage emotion, so it’s definitely suited towards a younger audience.